In this week’s Ask the Cyber-Dating Expert column, a reader has a huge dilemma. Her partner thinks she’s looking for other options on Tinder, when she knows she hasn’t been using the mobile app. Did she get busted or did technology get the worst of the situation? We moved into a house together and we met via Tinder. He received a message from his friend saying he saw my Tinder account saying that I was active three days ago. It was a shock to my partner and myself as the day I was ‘supposedly’ on Tinder was the day I spent four hours driving around and moving into the new house and the rest of the day I had a dead mobile phone due to using all the battery on the GPS. Is there any type of way that my Tinder profile could say I was active when I wasn’t using it as it is quite hard to prove that I was not on it? The Tinder app was uninstalled on my phone months ago and I have not downloaded it recently, so I am wondering if there is any way that something could have happened to make it ‘active’ when I had not used it? My partner and I had had a few fights last week but as I explained to him when we have arguments I straight away confront him and try to sort it out on the spot so we sort it out and don’t have to be angry or upset. He believes me because he knows that is what I do and that I’m not the type of person to go and download a dating app due to a few small fights. So I am in need of some help with explaining how my profile was active when I wasn’t using it. I know I didn’t go on it and he also believes me but we do both think it suspicious that my tinder account says it was active 3 days ago. I’m sorry for your Tinder dilemma, but am glad to hear you met someone special on their mobile app. Having a partner think you’re looking for options when you’re moving forward in your relationship can make anyone feel uncomfortable. Often mobile apps run in the background on different mobile phones. As I don’t work for Tinder, I don’t know exactly what happened in your case. If you removed the app from your phone, it’s still considered an active app and you will appear in searches as a potential match. 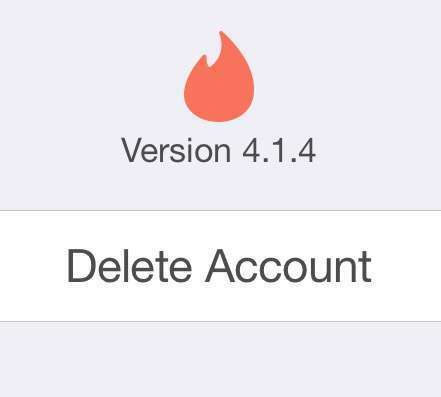 The only way for you not to to appear in a search, is if you completely deactivate your Tinder profile. Removing it from your phone just isn’t enough. Remember, if you permanently delete your account, all of your matches and communications will disappear. In this case, it’s probably a good thing. I think both of you should go through this exercise together in an effort to move forward in good faith. 1. Download the Tinder app again on your phone. 2. Open the app and click on the gear in the upper left hand corner. Julie Spira is America’s Top Online Dating Expert and Digital Matchmaker. She was an early adopter of Internet dating and helps singles by creating their Irresistible Profiles. Follow @JulieSpira on Twitter for online dating and mobile dating advice and join in the conversation for #DateChat on Thursdays at 5p/PT, 8p/ET. 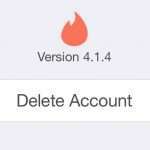 Need help with Tinder? Check out our Swiping Right service to maximize your Tinder profile and experience.